And before I know it, I’m carrying the books out of the store, my checking account slightly depleted, but my spirits buoyed. I scroll through my mental fabric stash inventory and gleefully anticipate wearing my new tops. The beautiful books lay undisturbed, the fabrics neatly folded and unfound. Weeks pass. I am excellent at imaginary sewing. Do you ever do that? Now that I’ve posted these photos, though, I’m feeling more motivated and actual sewing might happen! Let’s hope so. My energy is slowly returning, and I’m going to start small. Itty bitty. Maybe a single seam. Or maybe just spreading out the pattern sheet. Yes, I think I can handle that. Ha ha, I have imaginary to-do lists like this. I think one evening, or at the end of the weekend: “tomorrow”, or “this week”, I will do “x, y, z, & q…” And then, of course, I am surprised to find that those things have, somehow, not come to pass…. Serious sewing time is so unlikely in my life right now that it doesn’t even get that far with sewing. Oh thank you so much. I’ll look for it again! Ordering from UK would be a good alternative. Knitting is also a good way to “switch off” my brain, and much easier to pick up in the moments in-between (like now!). oh how funny! I didn’t know that what I do had a name: imaginary sewing. For yes, I do the exact same thing! Either with pattern books or fabric yardage, I dream up all sorts of grand plans and then the follow through falls flat. Happy to know I’m in good company:) Though truthfully, you actually seem to be a pretty prolific sew-ist. I’ve always been amazed by your productivity! Imaginary sewing is the most fun! I imaginary sew all day long, haha. I do the same thing (especially with sewing books for some reason). Imaginary sewing IS fun! My sewing book collection is, quite frankly, out of control, and I keep noting all the patterns I want to try. At the rate I’m going, I could try to sew every day and still wouldn’t get through all the patterns for YEARS. Thank you, Helen Georgina! Ah, it isn’t just sewing that is imaginary in my life, it’s all sorts of projects! But if I may be philosophical for one moment (not my usual state of mind! ), it is the daydreaming that allows our mind to rest and find freedom in exploring the possibilities in our head. And our creativity is better for it. In our hectic “get it done, and get it done now” world, relaxing in a bit of a “virtual reality” is not a bad thing. Enjoy your imaginary wardrobe! I couldn’t agree with you more, Amy! I absolutely believe in letting the mind wander and indulging in the vast imaginary world. I have the MOST amazing imaginary wardrobe, I tell you! YES! Oh yes! Imaginary sewing happens all the time here! I have to make a list so I can focus! Interesting, easy wearing tops are so hard to find and those two are lovely. 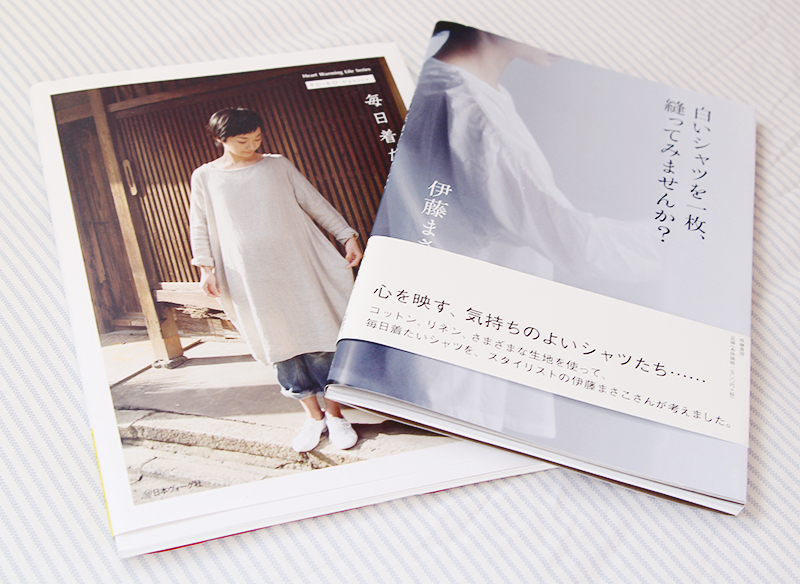 I think the Japanese books do have great ideas for wearable tops. I’ve got a jumpsuit picked out from one of their books on the imaginary sewing list too! Oooh, a jumpsuit sounds like a lot of fun! Rompers seemed like the big thing last year, and I’m still seeing a strong jumpsuit trend going on. 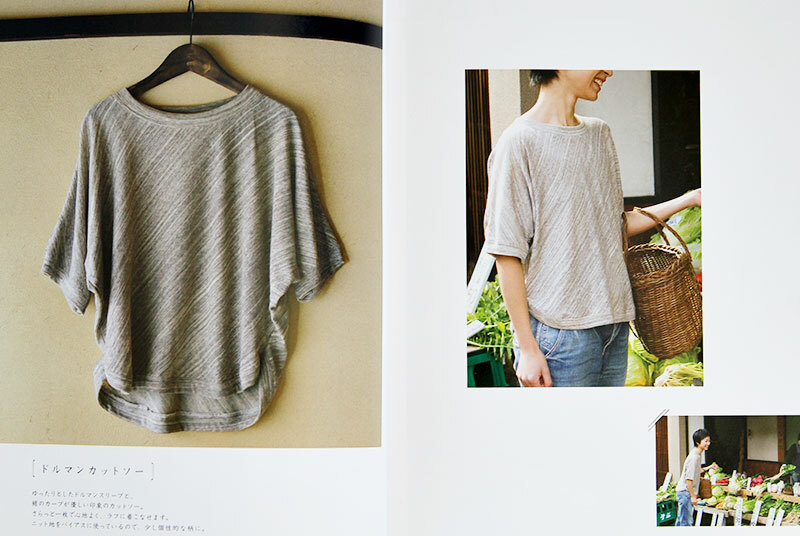 And yep, it’s what I love about Japanese sewing books: a lot of the patterns are great for daily wear, but also have detailing that makes them interesting. Thanks, Em! I think I have at LEAST a Master’s degree in Imaginary Sewing. Sometimes when I’m either too busy, or too tired, it helps to mentally go over things in my head to plot out a current or new project. Ha, I love that, Mira! I probably spend just as much time thinking about my projects as I do working on them! Happens all the time here:-) I think it’s every bit as fun as real sewing, so I hope you are enjoying it. I’m still pretty wiped out from the various activities going on, so imaginary sewing is actually a welcome respite. 🙂 I am getting to that point of needing more clothes, though (I got a bit too enthusiastic with the Marie Kondo method) so I’m gearing up to do the real thing! Thanks Asmita! Guilty as sin. I have so many pretty sewing books on my bookshelf but I always go back to the Big 4. Just easier to cut up that tissue paper. But I do like my pattern book collection. One day. I love the ease of cutting out paper patterns too, though I have to confess that I find tracing patterns to be weirdly meditative. I’m still trying to figure out Big 4 pattern sizes — it seems like every time I think I’ve figured it out, something goes wonky with the next one. But I refuse to be defeated! Thanks Carmen! Vicarious sewing totally counts in my opinion, Alana! 🙂 And talkaholic is so funny — the possibilities of innovative cocktails could be endless, for sure!